Or is it even bigger than that? Here’s another angle on the same sequence of events as the preceding video. Then click on this link and enlarge the graphic to follow the sequence of events. 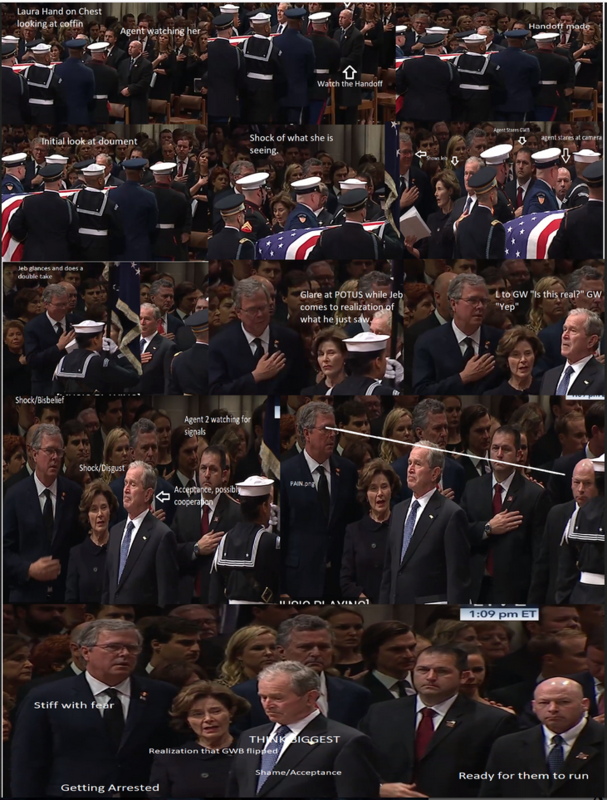 TMR staff watched the live video of this part of the memorial service and couldn’t help but notice the two Secret Service agents. Their quite conspicuous and foreboding presence was unlike anything we had ever seen before on TV, especially at a state event.